Are We Alone? We built the world's first OSETI Telescope dedicated to finding out. Whatever form an alien signal might take -- the faintest radio transmission, or a split-second pulse of light -- The Planetary Society is committed to discovering it. You can help us keep watch. In 2006, The Planetary Society unveiled the first All-Sky Optical SETI (OSETI) telescope. Funded by The Planetary Society and operated by a Harvard University team, it's completely dedicated to capturing that one pulse of light that might be a communication. Over the years, our members have helped upgrade and improve the hardware for this program, searching the skies and processing enormous amounts of data. With its 72-inch primary mirror, the OSETI Telescope is not only the only largest telescope in North America devoted to SETI; it is also the largest optical telescope in the U.S. east of the Mississippi. And, with cutting-edge processors, in just one second, it crunches more data than what is stored in all books in print. Construction of Planetary Society's Optical SETI telelscope in Oak Ridge, Massachusetts. Graduate student Jason Gallicchio is seen here reflected in the 1.8 meter primary mirror. 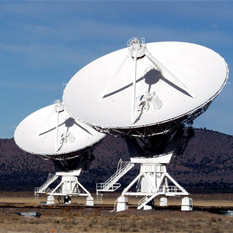 To date, the Optical SETI Telescope has completed over a thousand sets of observations. It takes 200 clear nights to cover the entire sky once and complete a snapshot. Then it starts again. Although dozens of triggers (pulses) have so far been sighted, all have been ruled out as communications. But vigilance is key: one signal from light-years away could prove we're not alone in the vastness of space -- and alter humanity's view of our place in the universe. We're keeping close watch -- and making great strides -- but there is much more work to be done. We are in the process of installing amplifier boards to double the sensitivity of the OSETI Telescope. We are also working to completely automate the telescope to capture continuous data every possible minute of every night. Visible light is thought to be a likely form of interstellar communication because visible light travels easily through space and suffers little interference. A tightly focused light beam, such as a laser, can be 10 times as bright as the Sun and be easily observed from enormous distances. Laser-like light signals are also unidirectional, making it possible to determine their source with great precision, and -- because of their higher frequencies -- can be used to send vast amounts of information. But in order to receive a light signal from an alien civilization, we must be looking for it. With the Society's dedicated Optical SETI Telescope, our eyes are open. Since its founding, The Planetary Society has been a leading advocate of the Search for Extraterrestrial Intelligence, supporting a wide variety of searches, making use of different approaches. Most of these -- and the largest ones -- have been radio SETI projects such as BETA, SERENDIP, [email protected], and Southern SETI. Now, after decades of listening, The Planetary Society has turned its eyes to the skies to scan for possible light signals. We don't know what we'll find. But we do know we'll find nothing if we don't keep searching. The Planetary Society's Optical SETI Telescope was built solely to search for possible light signals from alien civilizations. Located at Oak Ridge Observatory in Harvard, Massachusetts, it is the first dedicated Optical SETI telescope in the world. Its 72-inch primary mirror also makes it larger than any optical telescope in the U.S. east of the Mississippi river. Located in the southern part of the continent of South America, Southern SETI has a continuous view of densest star-fields in our galaxy. 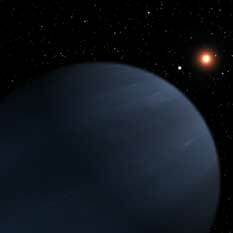 And, since 1990, it has been sponsored and supported by The Planetary Society. Winter time is observing time at the Oak Ridge Observatory in Massachusetts, when humidity is low and the sky is often clear. And so it has been for the Optical SETI telescope, which opened its doors in April 2006. Andrew Howard talks about the "semi-automated" nature of the observations from the Optical SETI telescope. In seven intense days spent at the radio telescope Chief scientist Dan Werthimer and his colleagues completely overhauled the way SETI data is gathered at Arecibo, and ensured that [email protected] will henceforth enjoy the benefits of gathering data with the most advanced equipment anywhere in the world. During a few observation sessions in late April, the new Optical SETI Telescope was already demonstrating its amazing capabilities. Over three nights, the telescope completed 17 hours of observation, under the direction of Paul Horowitz and his team of Harvard graduate students. During that time, the telescope observed 1% of the sky, looking for the briefest flashes of light coming from outer space.